There is little doubt in my mind that Samsung wanted to get a wrist-mounted wearable device out specifically because Apple is rumored to be coming out with such a device of its own. But this is what you get when Samsung doesn't have Apple's industrial design to copy: something that looks like a digital watch from the 1970s, the one where you had to press a button to get the red LEDs to light up. (Yes, the display on the the Gear is off unless activated, making the device much less useful as an actual watch.) And while it's chock full of features (camera! microphone and earpiece! pedometer! ), it is by no means fashionable (a watch, like most wearable accessories, is a fashion item for most people who wear them). Worse, according to early reviews, it has a clunky UI, limited standalone functionality without a phone tethered to it, and poor battery life. It just seems poorly conceived and poorly implemented. Take the phone feature, for example. 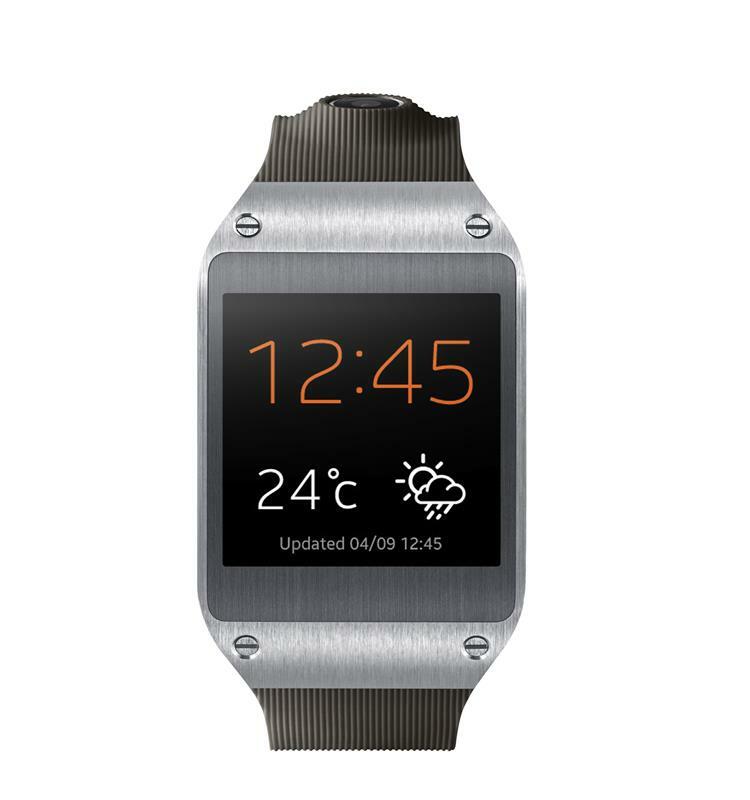 Samsung says you can hold the watch up to your ear to activate the headset. Stop what you're doing right now and hold the back of your wrist to your ear, and tell me you don't feel silly with your elbow sticking out like that. Or the battery, which might last all of one day if you don't use the device much. Or the camera, which takes far worse pictures than the camera you'd have on the Galaxy phone in your pocket. It's technology for technology's sake, without much thought to solving real problems. And then there's the style. It's a giant rectangle, much too large for people with thin wrists like me. Take a look at the picture in this review. It's thick and not curved, making the edges jut out. Mostly it looks like the previous-generation iPod nano stuck on a wristband. The exposed screws make the thing look more like a prototype than a finished product. I suppose you could charitably call the design "industrial", but to me it seems like they arrived at this design by accident. And finally, it's $299. For that, you could get a beautiful Michael Kors watch instead, and it'd be something you'd want to show off rather than hide. If I'm Jonathan Ive at Apple, right now I'm cackling with glee that this is the best that Samsung could come up with. If Apple does come out with a watch, I think it will look nothing at all like this. I'm imagining either a round (truly watch-like) face or at least a curved screen, with a novel UI specifically tailored to the form factor. (Apple recently patented a spiral UI where you navigate by making circular gestures.) I think it will be incredibly thin, and I think it'll be designed with women's arms in mind. Samsung will scramble to copy the design, Apple will sue for patent infringement, and then Samsung will say in court that Apple's design was obvious from the beginning.